Etsu (Kyoto, Japan) on 24 April 2014 in Landscape & Rural and Portfolio. 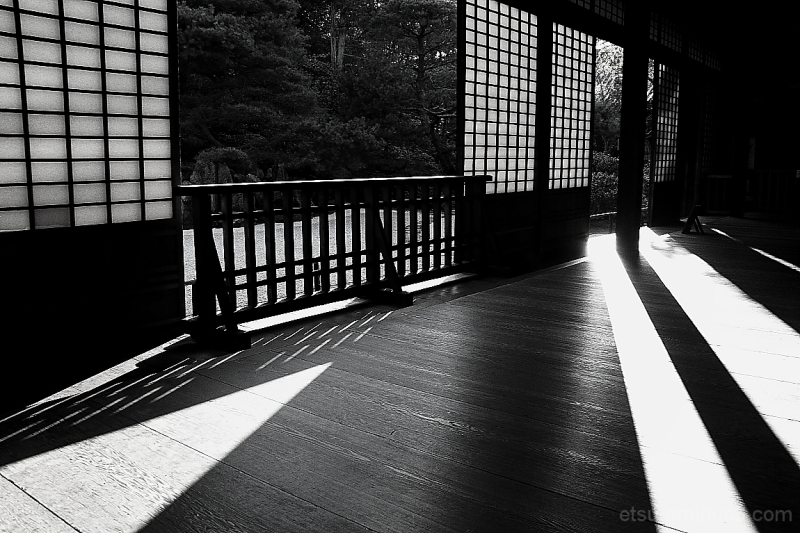 I love the B&W version with strong contrast, beautiful play of light and shadows, graphic composition ! Excellent version B/W! Superb graphic composition! I love it! Have a nice day Etsu! Great Black and White, the play between light and shadow is fabulous, a great shot, I like a lot. Gorgeous B&W i LOVE those lines that the sun creates. Very bold. Quelle vue et iamge quelle compo et jeu de lumière et d'ombres superbe. Fantastic b/w conversion, a photo with beautiful light. Have a nice day Etsu. Spectacular projection of the shadows! An absolutely gorgeous image of this world of light and shadow. You have a lovely series of these images. Gorgeous light and shadow! It creates such interesting lines and angles. A fabulous image! 5*s! Have a great day Etsu! @Elaine Hancock: Thnaks so much, Elaine. I always appreciate your kind comments. Have a wonderful day, too. I love the high contrast look. Great play with dramatic light and shadows!! I love how the geometric shapes of the architecture stand out beautifully here. Beautiful B&W image with nice tonality and contrast.